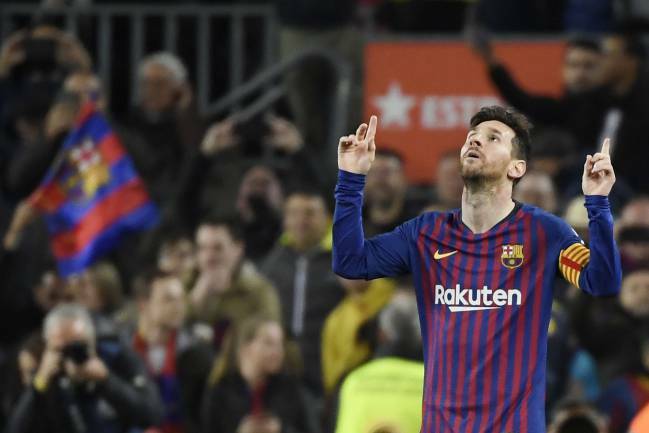 Atlético fought as far as they could in LaLiga but it was written in the stars that Barça will reclaim the title - much of that is down to Leo Messi - not just him of course, but mostly. Yesterday, Messi was once again Barcelona’s best player, shaking up a team which still isn’t working quite right, but is lucky to have an Argentinean genius who poses a continual threat for their rivals. Accompanying him in attack is his great pal Luis Suárez, his partner in crime alongside Jordi Alba. It was Suárez who broke the deadlock last night, pulling off a nigh on impossible shot to beat the excellent Oblak. One and a half minutes later, Messi got on the scoresheet himself. The two of them resolved the game in under a minute and effectively put LaLiga in the bag for Barça. Atlético didn’t make things easy for them though – even after going a man down relatively early in the game. They started playing exceptionally well (an atlético friend called me and lamented: “If only we had played like this in Turin...”); they took control of the game and created several chances in and around the Barça box. 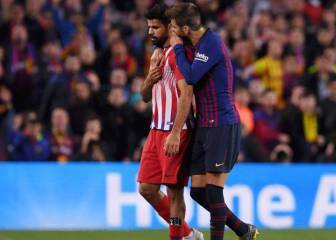 But it was in one of their attacks that Diego Costa squared up to the ref, said something unacceptable and was ordered off. 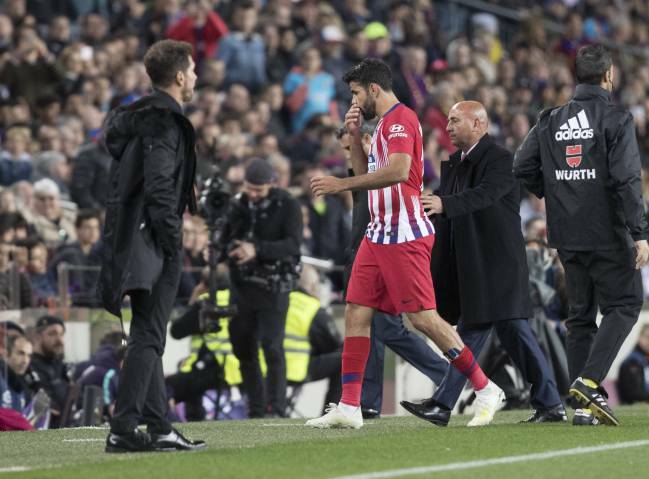 Maybe it’s time to mention that his return hasn’t really brought anything good to Atlético. He’s less involved in the team’s moves, he’s scoring less, injured more often and his behaviour is worse than ever. As Julen Lopetegui says ham comes with a bone – but in Costa’s case, there’s more bone than meat. It’s difficult enough to beat Barça at Camp Nou with 11 players – but with 10, it’s a tall order. Atlético were well organized and played their best hand, and Oblak was outstanding. There was a moment when they could have taken the lead, Rodrigo heading just over, when he had Giménez in a better, goal-scoring position just behind him. But it was almost too good to be true and inevitable that eventually they’d be punished. First Suárez, then Messi (I did have my doubts about his positioning when he started his run) finally found a way past Oblak. 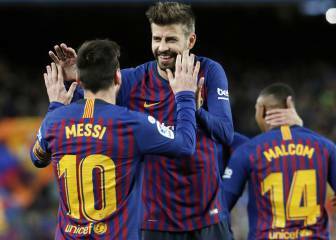 Eleven points clear with seven games left to play and with Messi firing on all cylinders – and with his team mates doing their job well. There’s already a winner in LaLiga – Barça – yet again.